Discover the underlying causes to ill health with an Iridology evaluation. Iridology is a method, which analyzes tissue conditions as reflexly indicated in the iris. The practitioner can tell from markings or signs in the iris, the reflex condition of various organs and systems of the body. These markings represent in detail the integrity of the body, its genetic strength, areas of congestion or toxic accumulations and inherent strengths and weaknesses. Increasing evidence shows that nutritional deficiencies are associated with the onset of diseases. When the body is fatigued to the extreme, it cannot absorb the minerals, trace elements and electrolytes from foods as it should, starving the body and reducing its ability to repair and rebuild at the cellular level. With the loss of nutritional balance, disease walks in and makes itself known by a myriad of symptoms and a variety of diseases. 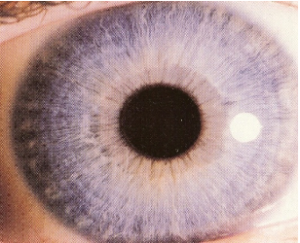 Iridology offers a unique perspective to the concept and practice of preventive medicine. It is difficult to alert a person of his or her future health problems using traditional methods of analysis. Traditional methods rely upon the appearance of clinical symptoms. Irises however, can reveal problems in their earliest inception, long before disease symptoms make their appearance. With this information, a health program can be developed which is tailored to the specific needs of the individual, thus preventing the manifestation of disease. It is of great value to be able to determine from the outside of the body what is occurring within it. Iridology, offers a simple, painless, economical and non-invasive way of looking into the body. 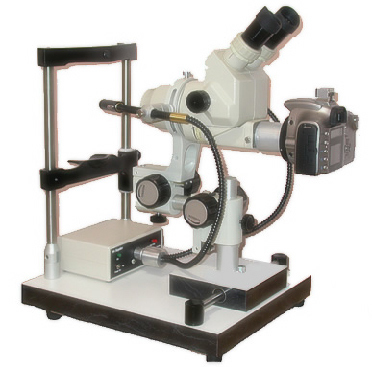 Iridology can be used in conjunction with any other system of analysis or diagnosis. Dr. Craven uses Iridology because it is accurate and less complex means of analyzing a personâ€™s condition and because Iridology stresses the treatment of the person, not the disease. By identifying the underlying imbalances in the body that produce symptoms, it is an invaluable asset in the formulation of remedial therapies. With this Iroscope, photograph of your irides are taken so that you can keep track of important changes that may be occurring in your body while undergoing a Wellness Program. The after photographs will reveal when you have freed your body of underlying causes of ill health.